Corken, Inc. is recognized as a world leader in the manufacture of LPG pumps and compressors. Corken's exceptional reputation in the LPG industry is built upon decades of maintaining the highest quality and customer service standards. Corken has transferred that same dedication to the development of pumps and compressors for a wide range of industrial markets. The Z4500 is a four-inch stationary pump designed for transport loading and multiple bobtail loading applications. If you have two or more bulkheads to load bobtails and transports and would like to shorten your fill times, then the Z4500 is the stationary pump for you. The SC-Series multistage side-channel pumps are designed for LPG applications where high-differential pressure is necessary or low NPSH conditions exist. The side channel design provides smooth continuous flow and trouble-free service. 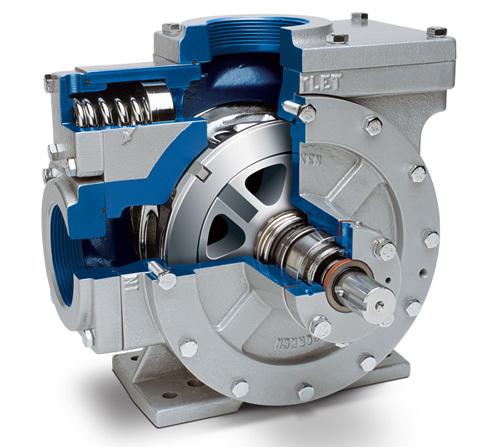 The positive displacement, sliding-vane design of the Coro-Vane pump is commonly found in the LPG industry. 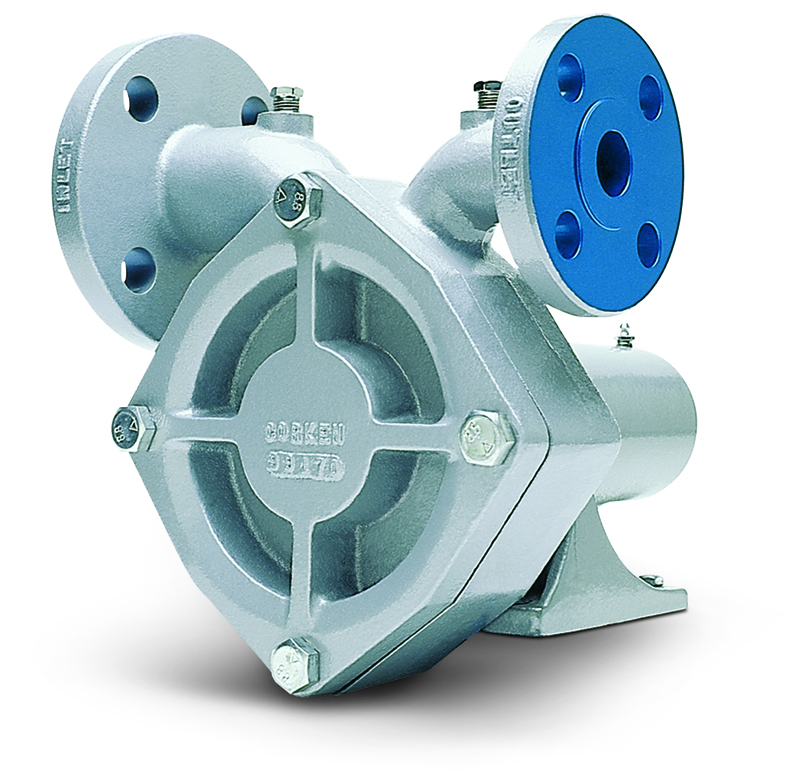 The Coro-Vane® pump is unique because it can handle small amounts of vapor formed at the pump suction, and the vanes are self-adjusting for extended wear. The Autogas regenerative turbine pumps are designed for LPG applications where high differential pressure is required. The Autogas pumps provide the same smooth continuous flow and trouble-free service as the Coro-Flo models only at higher levels of performance. 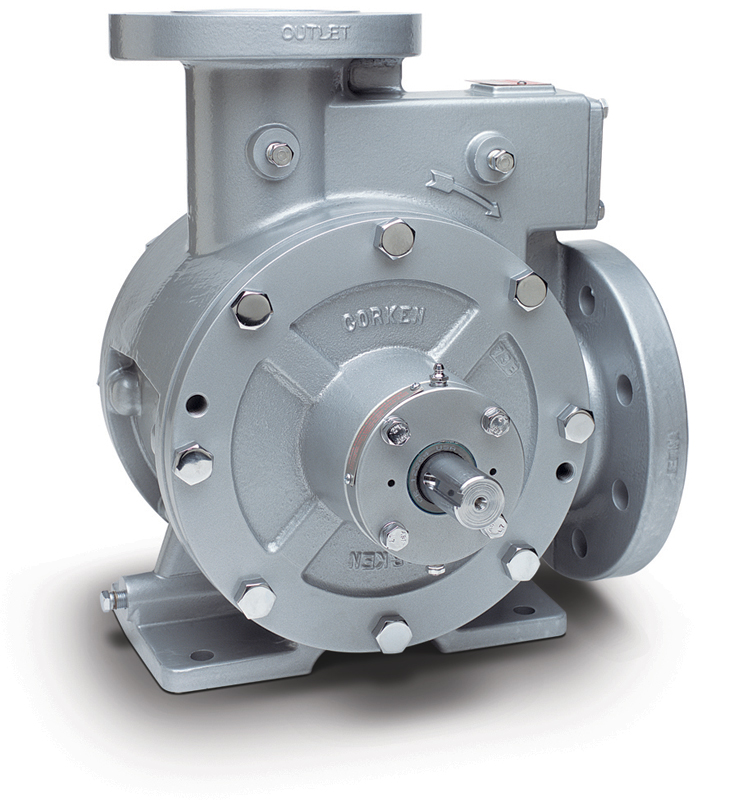 The Corken Coro-Flo® pump was specifically designed for LPG, NH3 and other light liquids. The regenerative turbine construction provides smooth continuous flow with trouble-free service for volatile liquids such as LPG. The Z-Series Coro-Vane® truck pumps are specifically designed to perform in such severe operating conditions as high differential pressure, pump overspeeding, poor suction conditions and heavy thrust loads associated with a power take-off (PTO) drive system.